Charles Russell manages our James River Advisors Clarksville location. He works as our financial advisor in Clarksville, VA. Charles works closely with members of our operations team to give a broader look at financial planning. This collaboration between branches allows our Clarksville office to advise on other financial topics, like 1031 exchanges, tax matters, trusts, insurance and more. James River Advisors is a Registered Investment Advisor, making us a great fit for individuals and families ranging from early career savers to pre-retirement and retirement clients. Our Clarksville office has worked with clients on a variety of financial planning topics, including: investments, trusts, college planning, retirement planning and tax planning. Our office is located in Clarksville. Clarksville is a city in Southern Virginia, in proximity to South Boston, VA and Halifax, VA. Clarksville is home to many beautiful landscapes, including Kerr Lake and Occoneechee State Park. Our office is conveniently positioned near the major employers in the area, including the HP Clarksville Data Center, VCU memorial Hospital, Mecklenburg Electric Cooperative and more. This makes us the perfect financial advisor for employees in Clarksville, VA and the surrounding areas of South Boston and Halifax. To get to our office from South Boston, VA: take US-360 E/US-58 E for about nineteen miles. Then turn left onto US-58 BUS E (Virginia Ave) and our office is located on the left. To get to our office from Halifax, VA: get on 501 S until you can exit onto US-360 E/US-58 E for about nineteen miles. Then turn left onto US-58 BUS E (Virginia Ave) and our office is located on the left. 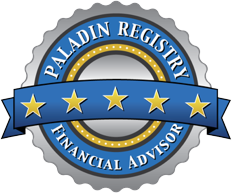 Q: Do I have to be wealthy to work with a financial advisor in Clarksville, VA?